“With resonances of his milestone 1982 work Steel Skies (recently reissued by Topic), the Northumbrian concertina maestro assembles a gorgeous instrumental evocation of the sounds spirit and people of the north-east of England. With him are some of the younger guns associated with Northumbria through birth or the degree course; Swedish Northumbrian fiddle player Emma Reid, Scots clarsach player Rachel Newton, Bellowhead cellist Rachael McShane, whistle player Joey Oliver and two more fiddle players Sophy Ball and Shona Mooney. 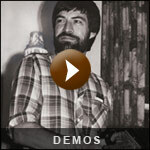 The redoubtable Martin Simspon also makes an appearance supplying guitar, along with album producer Ian Stephenson, while Anderson’s compositions include Riff Reels, a collaboration with jazz trombonist Annie Whitehead commissioned by the Bath International Music Festival for a folk-jazz ensemble. 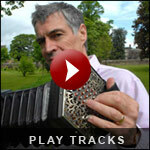 Both this and Hopscotch, another of the Bath tunes, are mesmerising, flavoured by unfamiliar structure and rhythm, yet somehow entirely in tune with the spirit of an album that uses the rich heritage of traditional music as its groundsheet. Mostly the tunes are self composed by Anderson, including the utterly gorgeous Winter Sunlight, complete with Martin Simpson playing Hawaiian guitar, while the North-East is at the heart of everything. Empty Spaces is a tender tribute to those three giants of Northumbrian music – Will Taylor, Will Atkinson and Joe Hutton. The Reverend Joe Hislop of Alnwick has a buoyant tune in his honour; and the wild majestic Farne Islands are the subject of the dreamy mini suite that closes the album in such compellingly thoughtful style. 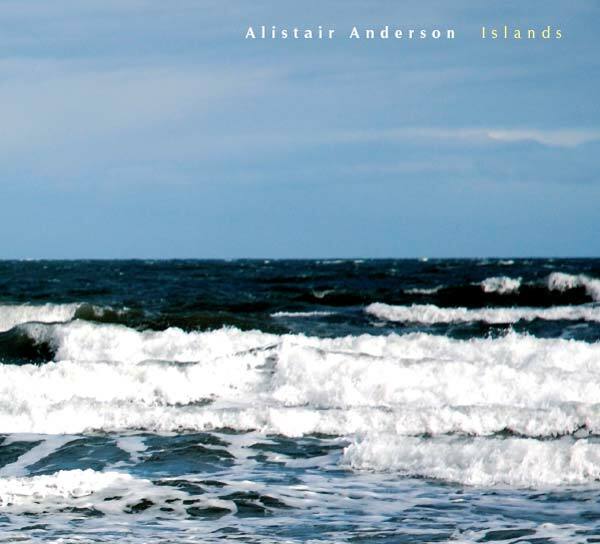 In characteristically buoyant manner, Anderson also plays The Cheviot rant, practically Northumberland’s national anthem, which he follows with a chunky couple of tunes favoured by Will Atkinson. Snowblind was part of “Gin The GeudWife Stint” a piece commissioned by Northumberland County Council for a poetry festival some years ago. It is based on a poem by Basil Bunting and tells of a Northumbrian farmer in the 1930s hoping to scrape enough money together to take his family to a new life in Canada. My own father made a similar journey in the other direction from a farm in western Canada at about the same time. The Franklin River Reel was part of Steel Skies – my first extended composition. The Franklin River runs through a wilderness region in Tasmania. In the late 80s I was invited to the first Accordion Festival in Montmagny , Quebec – a wonderful event of friendship and music making. WilliamVickers was a fiddle player from the Bellingham area in north west Northumberland. His hand written, personal tune book dated 1776 is a treasure trove of tunes. with Emma in inventive mood. I had the great good fortune to spend some 25 years and more playing with three wonderful Northumbrian musicians; Will Taylor, Joe Hutton andWill Atkinson and they were a huge influence on my life.When the last of the three, Will Atkinson, died, I was struck both by the huge void they a left in Northumbrian music, and by the wide open spaces they had worked as shepherds for much of their lives. Part of a longer piece, “In All Languages”, written mainly by AnnieWhitehead. These two reels were my response to Annie’s wonderful riff. Joie Hislop was minister at the United Reform Church in Alnwick and a great guy. He organised some wonderful concerts to raise money for the church and other local good causes – it was always a delight to play for Joe. The Squirrel in the Tree was a favourite ofWill Atkinson in fact it was viewed as his signature tune by some of his friends in along the borders in his later years. I learnt The Oyster Girl from the amazing Arthur Marshall while I was still at school. Arthur was the musician for the Loftus Long Sword Dance Team but was getting on in years (he had been collected by Cecil Sharp!) and the team decided that for certain occasions they should have a second musician just in case and chose me. I love crisp days in winter when a low angled sun brings every feature of the landscape into vibrant relief. When Martin played his beautiful copy of a 1930sWisenborn “Hawaiian guitar” on this piece it just seemed to be absolutely right. The Farne Islands lie just off the Northumbrian coast at the end of the GreatWhin Sill an intrusion of igneous rock that crosses the whole county; from the west, where it was used by the Romans for Hadrian’sWall, to the east where numerous castles are built on its stark cliffs. I have always been fascinated by the Farne Islands and the contrast between the unshakable solidity of the craggy rocks and the constantly changing flow of the currents that swirl around the many islets. Many thanks to Nick Leeming for his help with this piece.